How much does this meeting cost? Time is knowingly money. 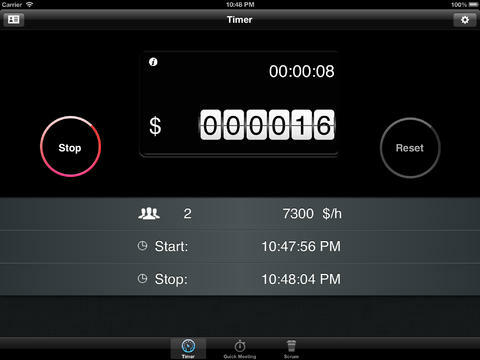 MeetingTimer helps you to track cost and time during a meeting. Participants can be stored and selected for the next meeting. 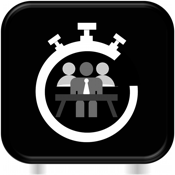 Store individual hourly cost rates and additional pieces of important information about your meeting partners within the App for later usage. Leave the App e.g. due to an incoming mobile call and the timer will continue to track your costs. Pause the App during a break and continue later on if needed.